I made these cards that will fit into the Carson Dellosa Roll & Learn Pocket Cubes (Item #CD-140002). You can also use this printable to make your own dice by recycling a small Priority Mail box or other small cardboard box. Cover the box with wrapping paper or bulletin board paper. Print out the dice printables, cut them out, and glue them onto the sides of the box. To play: Children take turns rolling the die. 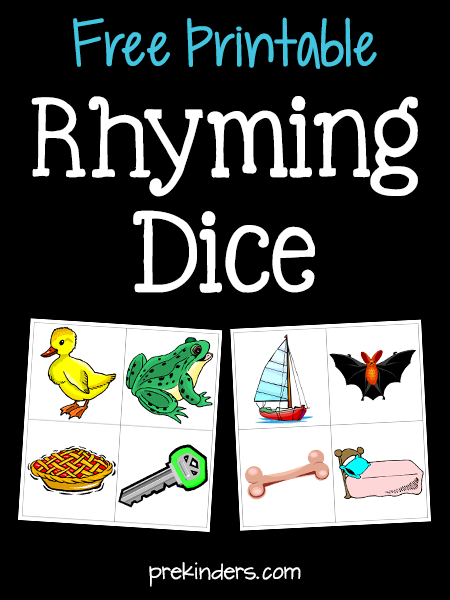 When the die stops rolling, the child will look at the picture on top, and say a word that rhymes. This is perfect for teaching my little ones rhyming. Thanks! I use it with my 4-5 year old Pre-K kids. Thank you, thank you, thank you for your website!! You’ve saved me so much work… I’ve been trying to put together pieces here and there to reach these literacy and math goals! Yes, thank you for this site!! 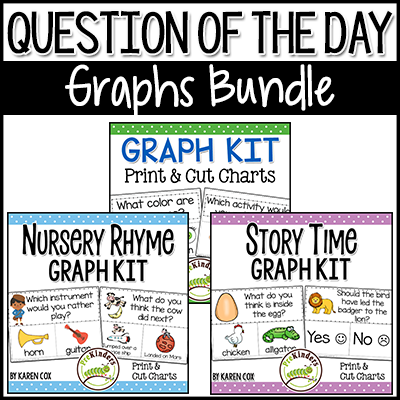 The program director at my school had some print-outs from your site to assist with this week’s lesson plans (“Rhyme Time” is the theme), but I had no idea HOW MUCH great stuff was on this site! I have not been in the classroom very long; although have worked with special needs & normally developing kids most of my life, I’m just beginning to be on the planning end of the classroom and this is a wonderful resource. Thanks!! I have found that a square tissue box works well for making a dice.